Blush is one of an important makeup product, which is used to make you look more beautiful. After foundation is applied all over the face, blush is the thing that is applied on to it. Remember one thing that the blush is applied on the apples of cheeks and not on all over cheeks. 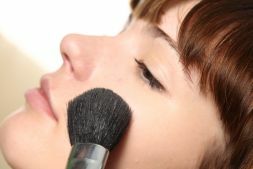 A brush is used to apply blush on the cheeks. Moreover, the blush color should be selected carefully according to your skin tone. Light colors usually look good. Pink, peach, plum, light brown and coral colors are the shades, which are generally preferred for the blush. There are many types of blushes available in the market. According to the skin type a blush should be selected. 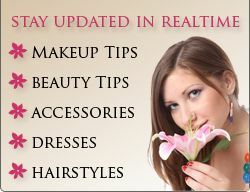 Different types of blushes are powder, cream, gel and tint blush. Powder blush consists of blush in the form of powder and can be used by skin type. But generally, it is good for oily skin. Oily skin has oil content more than normal skin. So, by applying powder blush excess oil can be soaked out. In addition, the oily skin gives out effect of shine. By applying powder blush this shiny appearance can be reduced. With the help of blush brush, powder blush is applied on the cheeks of the face. Sometimes loose powder is dabbed on the face after foundation but before blush is applied. Creamy blush comes in the cream form and is not good for oily skin type. This blush type is rich in oils and so it is recommended to be used who have dry skin. It is dense in state when compared to powder blush and so it remains for longer time on the face. Also as it is thick in nature make sure that it blends properly with the skin. Fingers are used to spread blush on the cheeks. There is often a need to do touch-up when creamy blush is being used. Gel blush is a type of blush that is the second best option after creamy blush for oily or normal skin or combination of both. This type of blush is generally water-based and so for the ones who have acne or pimple problems, gel blush is recommended. It is as easy as powder blush. By using fingertips it is applied and spread out evenly and rapidly on the cheeks. Gel dries very fast and so when applied on dry skin it gives a cakey appearance. So on dry skin gel blush should be avoided. When using gel blush, the makeup on cheeks lasts for much time and no touch-up is generally required. Tint blush is good for any skin type. It looks best over foundation as it gives a sheer effect. As gel blush dries out fast, this blush too dries out fast. So when you are applying on cheeks make sure that you apply really rapidly so that it doesn’t get dry in middle of the process. Make sure that you blend very well with the skin. This blush also gives you freedom from doing touch-up and is best suited for an evening outing. Blush when applied over foundation gives a very good look and makes you look gorgeous. The skin type is important thing to be considered when you are buying a blush for yourself. At that time keep in mind the above tips and then buy accordingly.